If you have made it this far without throwing up, congratulations! Maybe I can present to you one last dish served In the Vietnamese village of Le Mat near Hanoi. 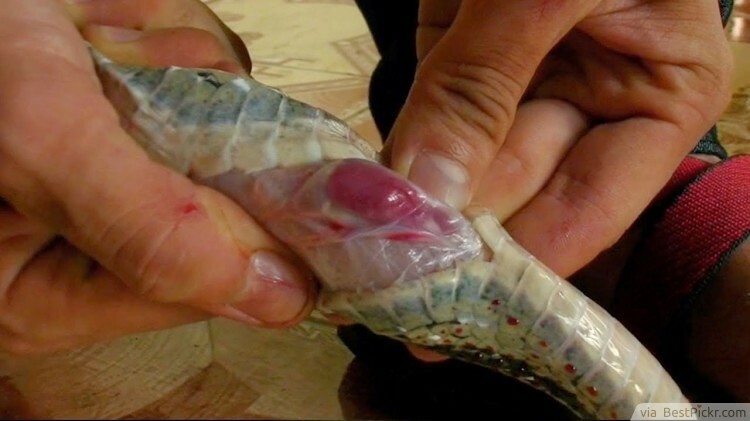 Those bold enough to take on this meal will see a chef rip out a snake's still-beating heart and serve it to them in a bowl. If you’ve ever watched Indiana Jones and the Temple of Doom then probably you will never wish to eat this dish.